* Mariell's art deco earrings are sure to catch eyes anywhere you go! * At 7/8" h x 3/8" w, they're an elegant addition to any bridal or prom gown. 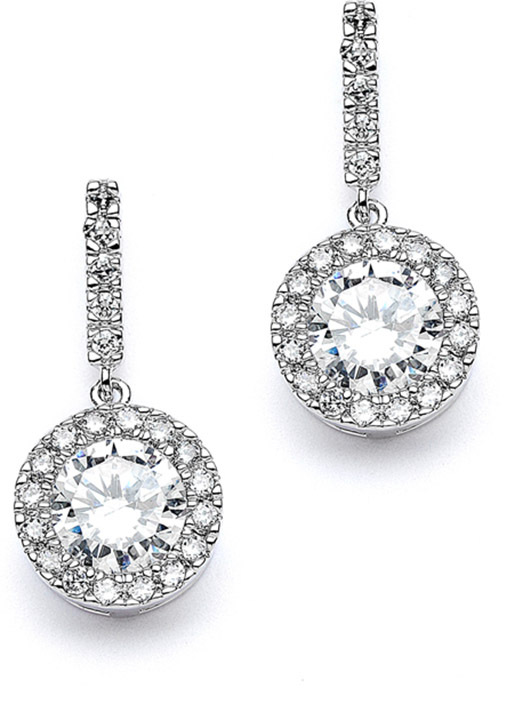 * With a bold center CZ and petite design, they are also a lovely choice for bridesmaids or mother of the bride.